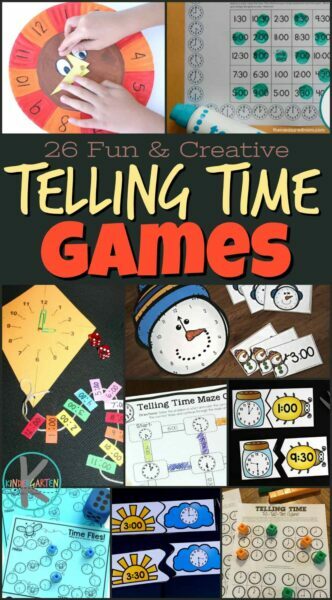 These telling time activities are such a fun way for kids to learn to use the clock! Kids will have fun learning to use a clock with these fun, creative, and hands-on educational activities! The hardest part will be picking which of these 21 Fun and Creative Telling Time Activities to try first. 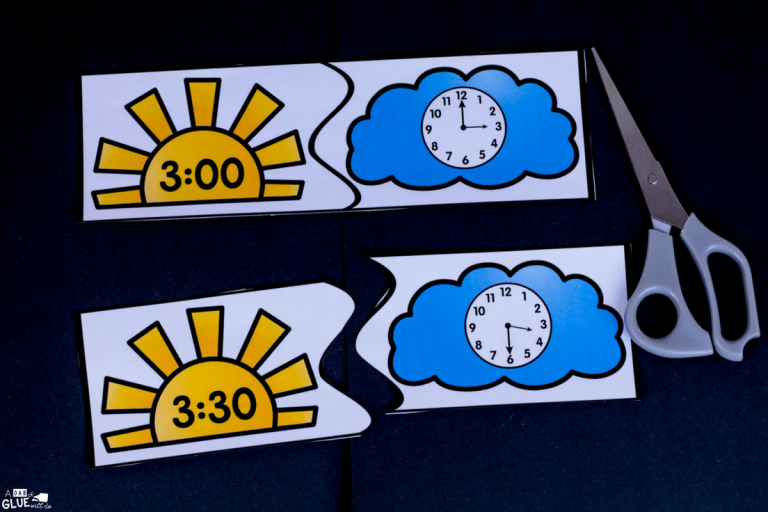 This fun Telling Time Craft allows kids to change the time on their very own watch craft throughout the day. Everyone likes playing tic-tac-toe! This FREE Printable Telling Time Tic-Tac-Toe Game is sure to help kids want to practice telling time to the hour. This black and white Telling Time Connect Four game is a great way to practice telling time like quarter till, 5 minutes after, and more. Learning to tell time is fun when you make it into a game! This Free Time Bump Game is a great way to learn. 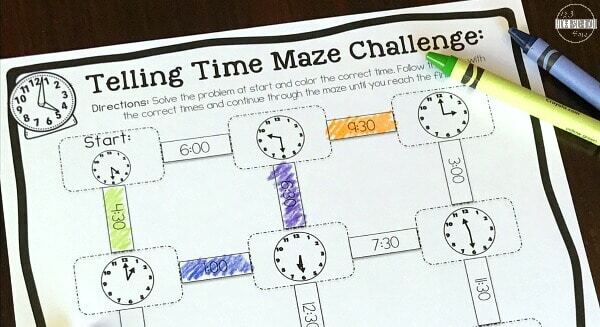 I’ve never seen a more fun way for kids to practice telling time than these FREE, super clever Telling Time Mazes. Still looking for another fun game to practice using a clock? Try this Telling Time Bingo Game. This super cute Free Telling Time Puzzles are a fun way for kids to practice telling time to the hour, half hour, and 15 minutes on their own. Spring time is the perfect time to practice telling them with these cute Tulip Telling Time Puzzles. Got extra plastic Easter Eggs? Try this fun Telling Time Match-up Activity! 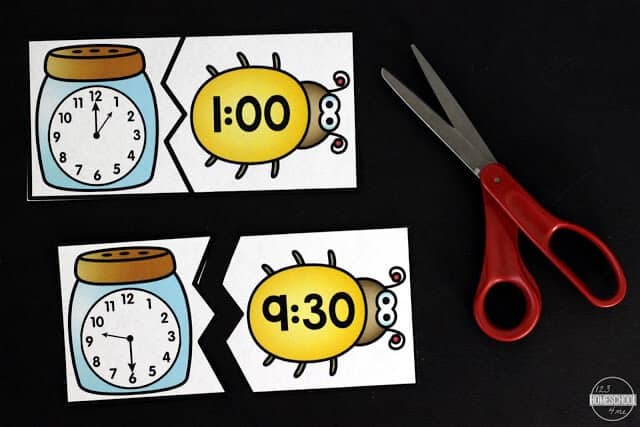 These sunny, Free Spring Telling Time Puzzles are a fun way for kids to practice telling time to the half hour. Looking for an extra cute way to practice using a clock? These Insect Telling Time Puzzles are perfect! September is the perfect time for these Apple Time Puzzles! Practice telling time this fall with these super seasonal Pumpkin Telling Time Puzzles. 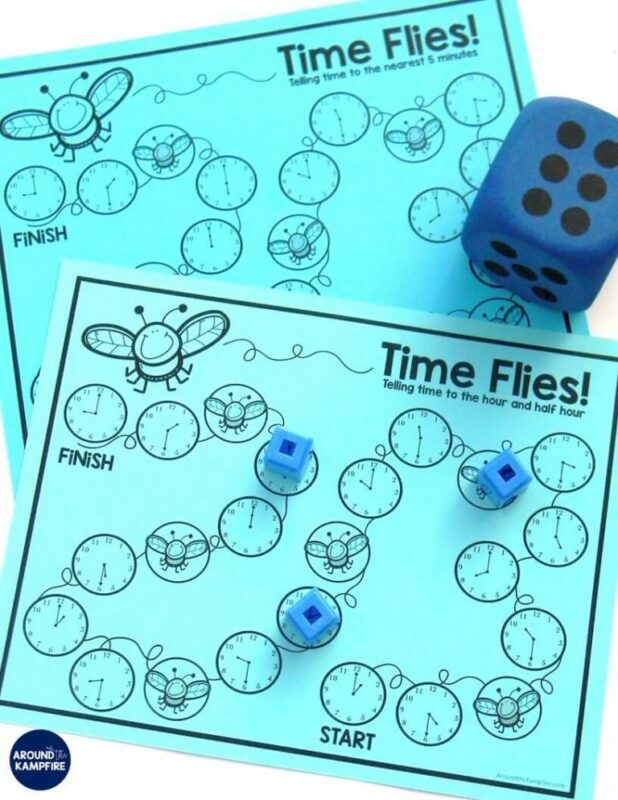 This fun Time Flies Clock Board Game is a great way to practice using a clock while having fun! 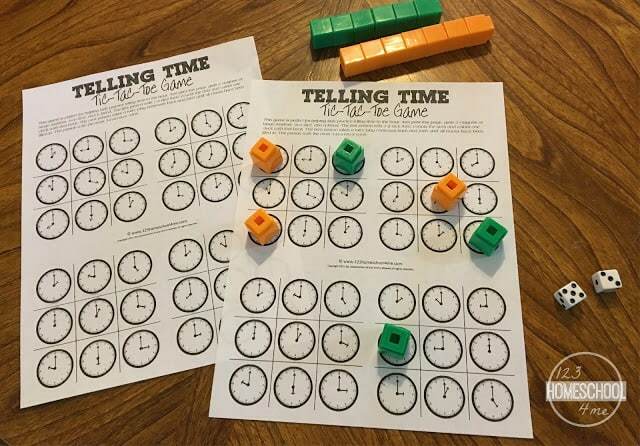 Kids will love playing this No-prep, FREE Roll & Stamp Telling Time Game for K-2nd grade. Nursery Rhymes are a great teaching tool. This Hickory Dickory Dock Clock Activity is so much fun. 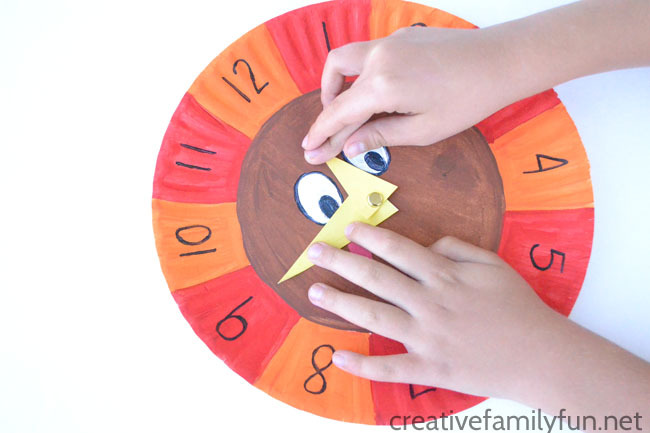 This adorable Turkey Telling Time Craft Activity is such a fun way to learn about a clock. 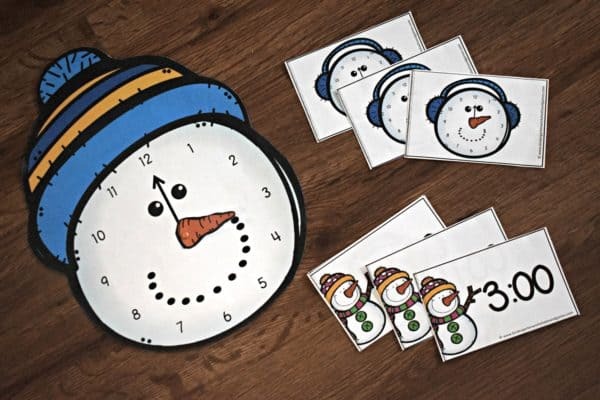 Build a Snowman Clock by cutting and pasting the numbers on to practice this winter. 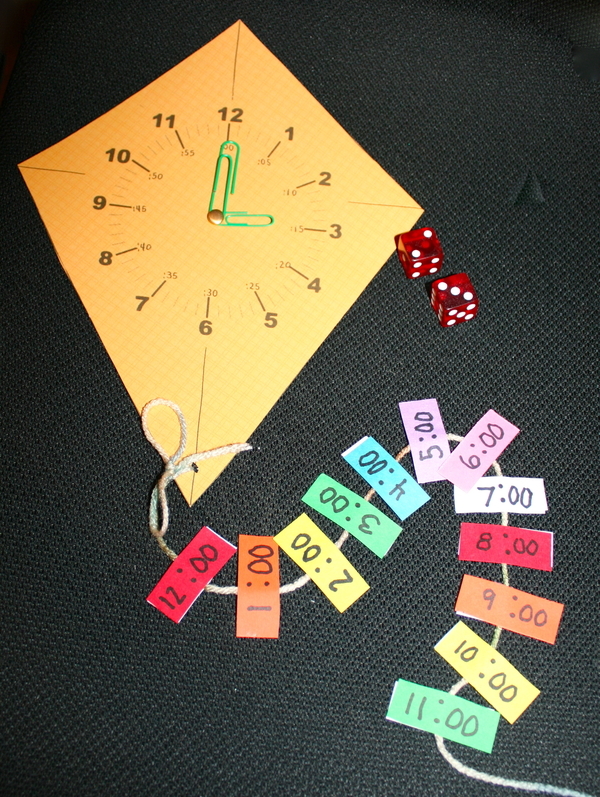 Let’s go fly a kite, a FREE Telling Time Clock Kite!